A new podcast miniseries, “Surviving Elections,” features leaders engaging in electoral politics from a movement-building orientation. 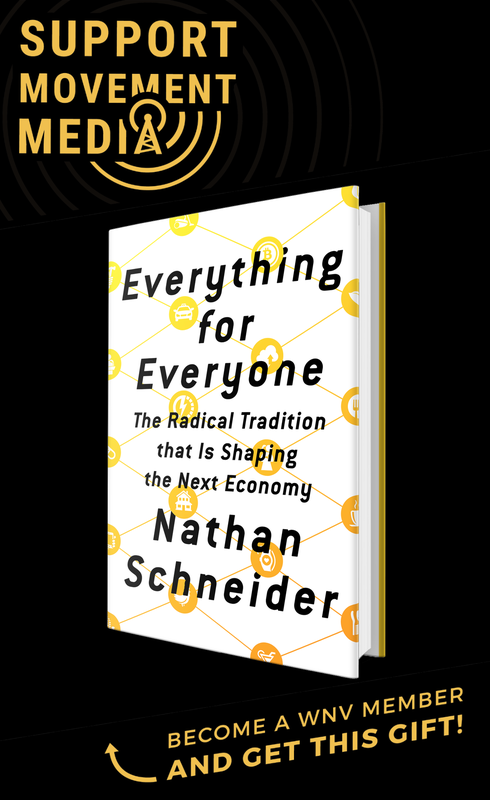 With the midterm elections upon us, it’s time again to grapple with the connections between electoral politics, long-term social change and how to stay engaged without letting emergencies dictate our strategy. Through Healing Justice Podcast, I’ve spent the last year exploring movement-building, power, and how we care for ourselves and each other to sustain our work. It’s necessary to apply those learnings to election season, too. My relationship to elections, probably like most of us, is a fraught one. Believing wholeheartedly in the change Barack Obama promised, 2008 was the first presidential election in which I cast a vote. Under Obama we won DACA and other important advances, but also saw more deportations than ever before in U.S. history. During the 2011 Wisconsin uprising in my home state, our energized mass resistance movement was channeled into a recall election strategy that ultimately squeezed the oxygen out of our momentum and failed. Momentum, my movement-building community, has taught me to focus on moving public opinion to change the political weather and force politicians’ and candidates’ hands. I really believe that is the path to lasting change. Yet, for the past several months — as I organized on the Cynthia Nixon gubernatorial campaign in New York — I experienced the incredible power of an unapologetically progressive campaign to change the conversation, move decision-makers to the left, usher in down-ballot victories and energize new imagination in the progressive public. 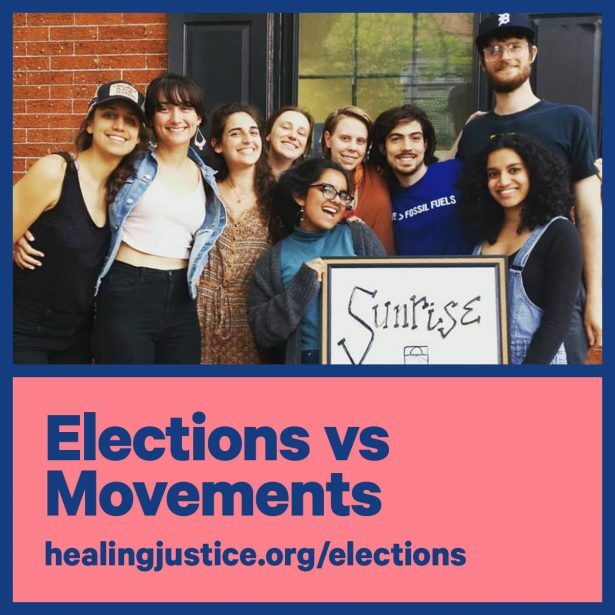 Through a new podcast miniseries called “Surviving Elections,” we’re talking to leaders who are practicing politics from a movement-building orientation and taking action to transform the realities of electoral organizing in the United States. In the first episode, we talk to two organizers from the Sunrise Movement about role elections play in the group’s bigger movement-building strategy, which involves mobilizing youth to demand that candidates refuse all fossil fuel money and impacting elections in four swing states. The guests on the episode talk about practicing electoral politics in a way that builds power cycle to cycle. They also offer an international perspective on why it’s so important to fight to protect and expand the democratic space. At the same time, they challenge the climate movement for “leaving so much power on the table” during the 2016 election cycle. Will Lawrence, Sunrise’s Michigan director, talks about the Abdul El-Sayed gubernatorial race in Michigan and how election day can be an ultimate test of our ability to move the public at scale. I left the conversation thinking about how movement organizers need to understand electoral campaigns as actions in their own right. They have the power to galvanize and train thousands of new leaders, polarize the public, and dramatize champions and opponents for our issues. What if we engaged wholeheartedly and utilized electoral campaigns intentionally as actions that can feed into our longer vision? In the rest of the series, we’ll talk with campaign managers about cultivating generative campaign culture that leaves strong infrastructure behind after election day. We’ll hear from candidates about their experience running for office — on winning, losing and dropping out — and the thought behind candidate selection at Working Families Party. The Campaign Workers Guild also joins us to talk about the movement they’re building to organize for workers’ rights in politics, and I share about our unionization process on the Cynthia Nixon campaign. In the final episode — released the day after the election — Justice Democrats’ Alexandra Rojas and lifelong activist Professor Barbara Dudley will help us process the results and understand ourselves in a longer-term movement arc. Together, we can make this a meaningful election cycle and build beyond Nov. 6.